Guangdong Yinrun Industry Co., Ltd. Contact our sales team to see how we can help you save a lot of money. Please be aware that our production lead times depend on specific items and item quantities. 4. Customer make the payment for deposit and send us Bank receipt. If it's our careless due to the quality is not good, we are willing to make related compensation for you by the situation. 4. Good delivery time --- any order even small order, we'll pay highest attention and try to offer the fastest delivery time. 5. Good tracking --- If it needs for you, we'll keep on sending you the newest right items for you time and time. Shenzhen Yiyu Technology Co., Ltd.
Shenzhen Xiaowangguo Industrial Co., Ltd. This time you can use the control lever on the to control your car forward, backward, turn-left, turn-right. When the Robot is successfully changing, you can use the Control Lever 1 and 2 on the to control the Robot to go forward / backward , turn left /turn right. If you need to change the Robot into the state of car, just simply press tightly the 4 changing key, the Robot will slowly be turned back into the Car. 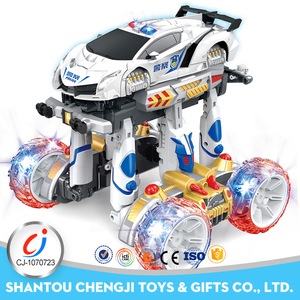 Shantou Joyin Toys Co., Ltd.
Shantou Detoo Trade Co., Ltd.
360 degrees rotate High speed remote control stunt robot car with colorful light/rc car electric toy cars for kids kids car toy automatic plastic mini car toys Newest crazy car toy! 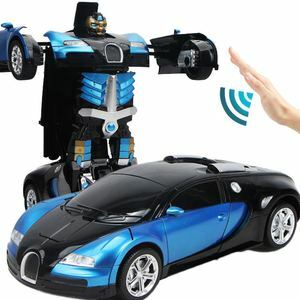 360 degrees rotate High speed remote control stunt robot car with colorful light/rc car Product Name: Newest crazy car toy! 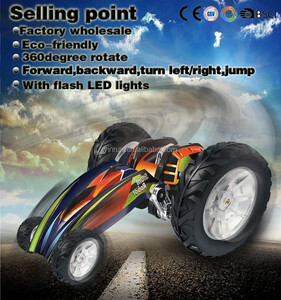 360 degrees rotate High speed remote control stunt robot car with colorful light/rc car Item No. Shenzhen Feijiada Technology Co., Ltd.
4CH wall climbing car rc stunt robot car 1.rc stunt robot car Specification Item no. 5.OEM for most of the items in our product line 6.Other RC Toys,include: RC Cars,RC Boat,RC Plane. 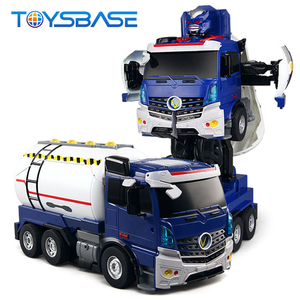 , Ltd located in Shantou China,is a medium size firm specialized in RC Toys manufacturing and trading. 2. Popular on the market shop. 3. 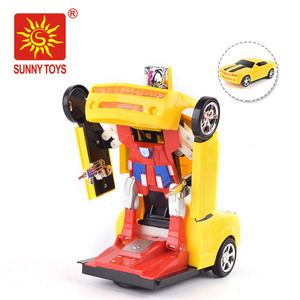 Battery toy with high quality made in china. 2. ODM&OEM are 3. If you want to import some products to test the market, we can lower the MOQ . 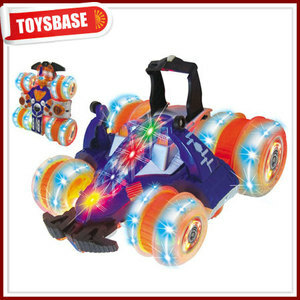 Shantou Chenghai Hobby Win Industry Co., Ltd.
Alibaba.com offers 204 stunt robot car products. About 48% of these are radio control toys, 11% are toy robots. 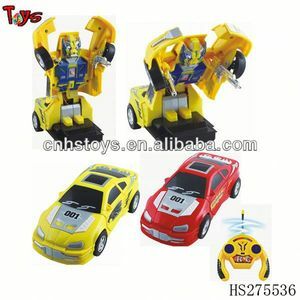 A wide variety of stunt robot car options are available to you, such as free samples, paid samples. 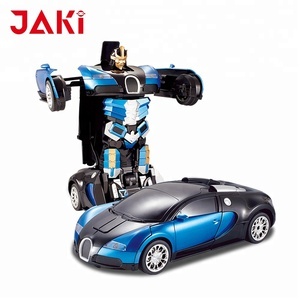 There are 124 stunt robot car suppliers, mainly located in Asia. The top supplying country is China (Mainland), which supply 100% of stunt robot car respectively. 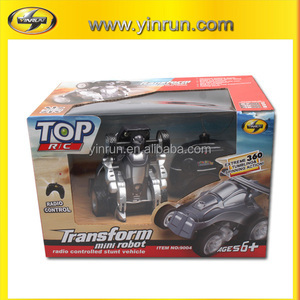 Stunt robot car products are most popular in North America, South America, and Western Europe. You can ensure product safety by selecting from certified suppliers, including 74 with Other, 42 with ISO9001, and 30 with GSV certification.